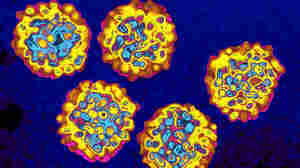 March 29, 2013  Some 7,000 patients of a Tulsa-area dentist are being urged to get screened for hepatitis and HIV. Health investigators say they found rusty instruments in use and evidence of unsanitary practices. 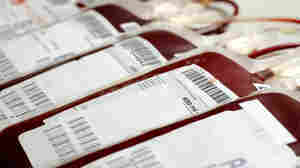 March 27, 2013  Doctors are desperate for better treatments for hepatitis C, which now affects about 4 million Americans. A new kind of drug that "mops up" molecules in the cells stopped the virus in a small clinical study, offering hope for a quicker cure with few side effects. January 14, 2013  Two out of three Americans living with hepatitis C infection are baby boomers, and many will never know the source of their infection. Drugs to treat the disease have many side effects, but dozens of new ones are in the pipeline. November 27, 2012  Because many people don't disclose behaviors that put them at a higher risk for hepatitis C, an influential medical panel doctors is moving toward a recommendation that all baby boomers get tested. 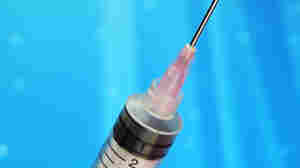 August 17, 2012  The Centers for Disease Control and Prevention says all baby boomers should get tested for the virus. But there's another aspect to the story. August 16, 2012  The Centers for Disease Control and Prevention made a sweeping testing recommendation official amid growing concern about the estimated 2 million baby boomers infected with the virus, which can cause cirrhosis and liver cancer. 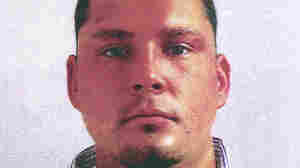 July 31, 2012  A former New Hampshire hospital employee was arrested in connection with an outbreak of hepatitis C. He's accused of tainting syringes that were later used on patients. Now officials are investigating whether patients in other states were exposed. May 18, 2012  The Wisconsin Division of Public Health noticed a strange uptick in hepatitis C to 24 cases a year recently, from eight, or so, earlier. Some of the infections were bad enough to cause people to seek treatment in emergency rooms. An investigation revealed many cases were linked to drug abuse. May 18, 2012  More than 2 million baby boomers in the U.S. are thought to be infected with hepatitis C. But most don't know it. So the federal government is proposing they get blood test for the virus. The current guidelines call for a test only when someone is known to be at risk. December 15, 2011  Are chimpanzees necessary for biomedical research in the U.S.? Considering today's long-awaited report on this question from the National Academies, anthropologist Barbara J. King suggests the answer is "no," and that "biomedical apes" deserve retirement. June 22, 2011  In the first hour of Talk of the Nation, the Political Junkie and the future of hepatitis C treatment. In the second hour, the effect of new cigarette warning labels, and the baseball documentary, Catching Hell.